Hooray Readers! Bringing yet another fun and crazy video to the community - Mr.P on Video! Hello, hello Steemians, dTubers and any other Monsters out there! It's been a while that friends have been asking me about how I record my voice while cycling and how do I avoid all the wind noises. 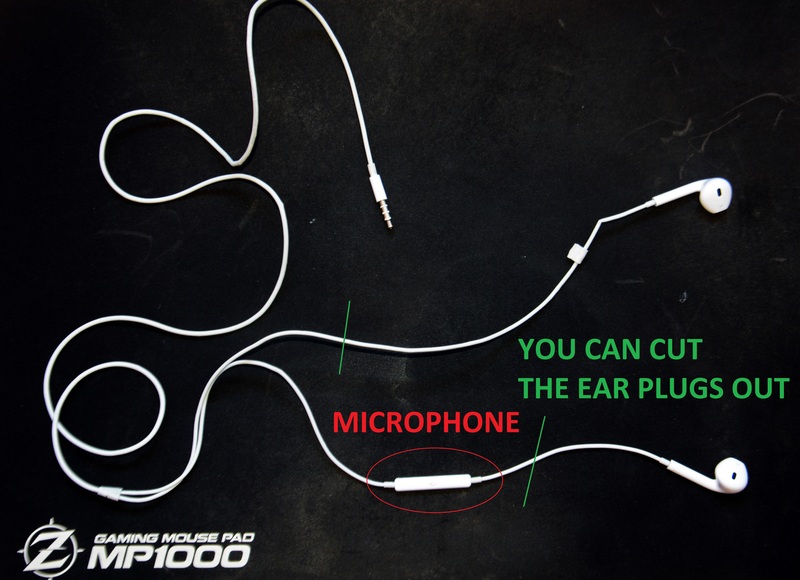 For that reason I've decided to record a video with all the steps on my voice recording; from the way I improvised my lapel microphone for free, passing to how I actually record on my cellphone, to the merging part. Unfortunatelly, I have to inform you that the full video became to long, so I'll present it in two separate videos. On this first video I'll show you my own microphone and give you ideas so you can DIY something similar, you'll also hear a glimpse of how it works and the way I clip it to my shirt. Next video, that I'll release still this week, we'll continue through the whole proccess of audio recording for vLog/Bicycle vLog. Enjoy! 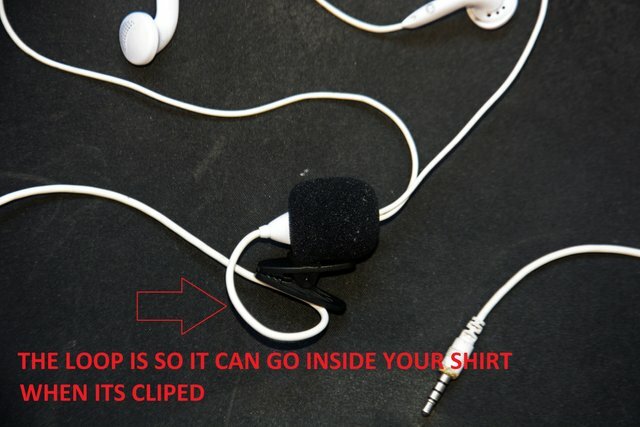 How to clip it to your shirt. Just in case you are not in the mood to see my face, Hah, I'll summarize it here in pictures. It's very simple and the quality can be way better than the internal camera microphone - at least for something so inexpensive. With your cellphone earphones in hand you can cut the phones out if you want to use it as a micrphone only. I do not advise doing that because you may want to hear the audio before recording, so you can just toss the phones inside your shirt and keep it clipped. Once you make that decision you can find a clip, you can use a name tag like the one in the photo. Take the strap out and use only the clip. 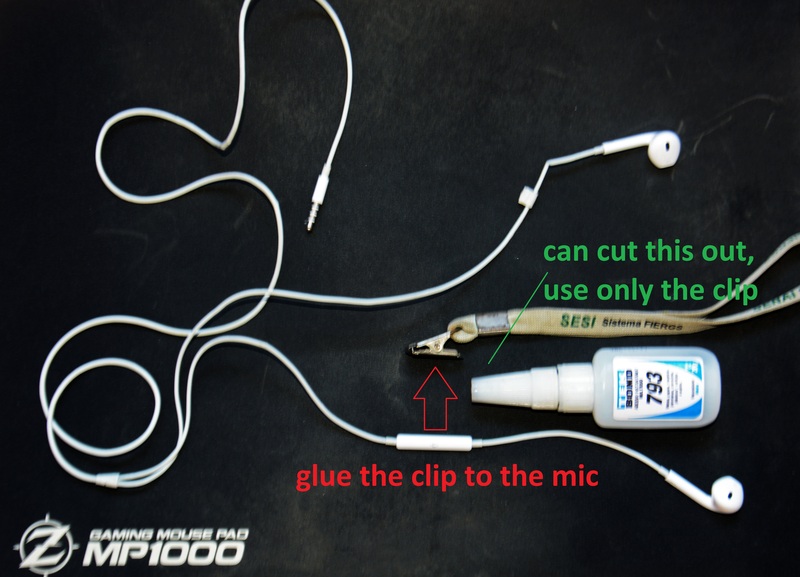 Super glue the back of the clip to the back of the microphone. 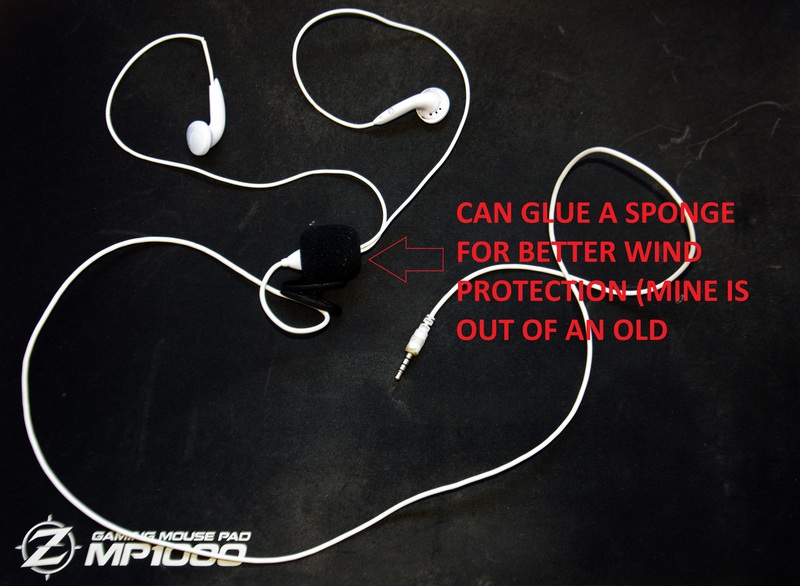 Adding the sponge is easy and optional, it'll add extra protection against the wind. In order to clue it to the microphone I had to cut a hole on top of the sponge to pass the phones. The end result should look more or less like the one above. The loop presented here is useful for when you clip it to your shirt, it'll loop the cable and make it go straight down into your shirt preventing that you snap the cable. As you could see this is as simple as it can be, and inexpensive too. I made my microphone for free by collecting materials I had laying around the house and it works pretty well for my needs. Just in case you are not really into DIY small projects, you can search a cheap lapel microphone, just make sure it has the 4 bands on the jack, othewise you'll need and adaptor to use it on your cellphone (which will be showcased on the next video. If you want to see how I record and merge the sound on the video, stay tuned for the next episode, where we'll see step-by-step the cheapest proccess to voice recordings. Excelente tutorial, man. 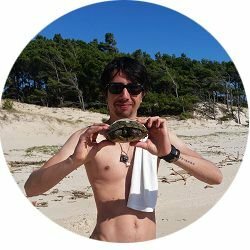 Para quem grava vídeos, principalmente em velocidade ou que causem dificuldade em segurar uma câmera, isso deve ajudar muito. Boooa @julisavio, testa um microphone desses, tu vai ver a diferença! That's brilliant... you have been experimenting with this.for a while so it's awesome you are sharing it with everyone. Yeeeeeeeees, a lot of testings indeed, hopefully others will benefit from it! Your UA account score is currently 3.477 which ranks you at #6347 across all Steem accounts. Your rank has dropped 3 places in the last three days (old rank 6344). In our last Algorithmic Curation Round, consisting of 302 contributions, your post is ranked at #129.